Silver has long been valued as a precious metal and is more abundant than gold. 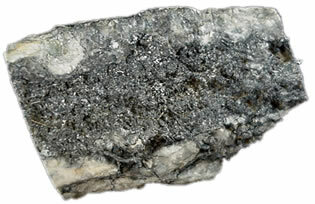 A soft, white, lustrous transition metal (occupies a central block in the periodic table), Silver possesses the highest electrical conductivity, thermal conductivity and reflectivity of any metal. Silver is a fantastic metal used by humans as far back as the 4th millennium BC. It was heavily used by the Romans as a currency and led to the Opium Wars between England and China due to China’s insistence that they were paid in silver. Perhaps the most famous of silver stories is that of Judas being bribed 30 pieces of silver to turn over Jesus. In the Muslim faith, men are allowed to wear silver rings on their little fingers and Muhammad himself wore a signet ring. Silver was once regarded as a precious metal second only to gold until supply became more abundant hence it’s scarcity being reduced and prices as well. Generally silver is not used alone in jewellery as it is softer than silver alloys and has a higher melting point therefor making it less desirable to work with. Most silver jewellery these days is made from sterling silver which consists of 92.5% pure silver and generally 7.5% copper. 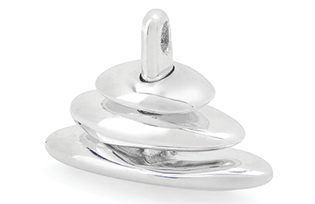 Learn more about Sterling Silver. Silver metal does not react with sulphuric acid, which is used in Jewellery making to clean and remove copper oxide fire scale from silver items after silver soldering or annealing. Pure silver is predominantly mined in Australia, Canada, the United States, Poland, Peru and Bolivia with Mexico being the world’s largest silver producer.